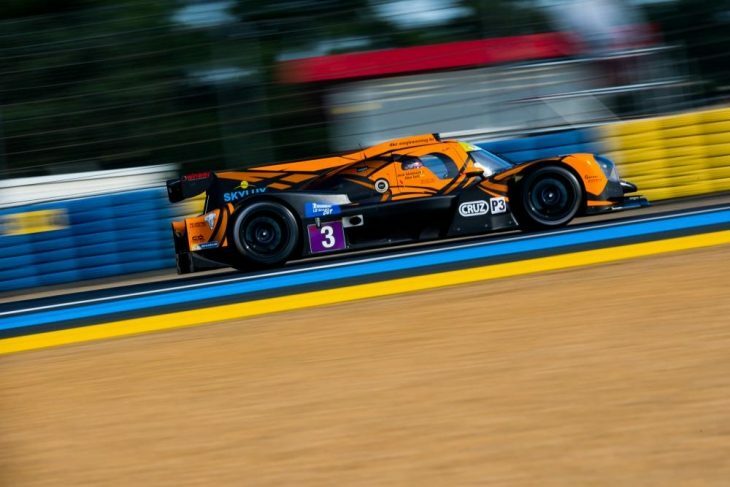 DKR Engineering’s Norma M30 of Alex Toril and Jean Glorieux emerged victorious in a frantic second Road To Le Mans race of the weekend, bouncing back from the disappointment of retiring from the lead in Race 1. The lead was then inherited by John Falb in the #2 United Autosports Ligier, that eventually finished second overall after a mad scramble following the stops. Third after the flag was the #19 YMR Norma, following an incredible fight through the field by Yann Erlacher in the second half of the race from outside the top 10. Erhlacher and the YMR team were aided by the misfortunes of other cars though. After the stops, Toril inherited the lead, with the two RLR Ligiers second and third. A disastrous sequence though, put both cars out of the running, with Alex Kapadia retiring out on track, the car grinding to a halt. Later, Farano in the sister #87 Ligier was forced into retirement too, after the car had a suspension failure after hitting the kerbs at the Ford Chicane. Later, another incident promoted the YMR Norma to from fourth to third, Colin Noble spinning after Tertre Rouge in the Nielsen Racing Ligier. It was bitter disappointment from Noble and Anthony Wells. Fourth and fifth on the road were the two GRAFF Ligiers, the #65 leading the #89. In GT3, TF Sport’s Aston Martin Vantage took the win and swept the meeting, after Tom Jackson and Ahmad Al Harthy took another dramatic win following a penalty on the last lap for the leader. 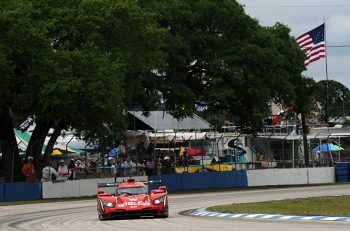 The IMSA Performance Porsche this time fell victim to breaching the minimum pit stop times at the round of stops, and had to serve a stop on the final lap, promoting the Aston to the lead. This though, after the #95 Spirit of Race Ferrari 458 took the lead and later had an off into the gravel at the Dunlop Bridge in the second half of the race. Maurizio Mediani was forced into retirement after getting beached. The #24 Garage 59 McLaren then slotted in second, Duncan Tappy keeping the car in the fight for the second half of the race. 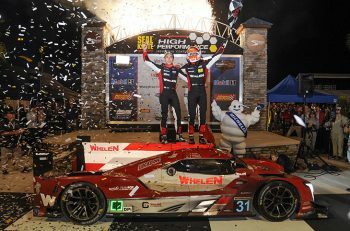 The SVC Lamborghini ended up taking the final podium spot after a late charge by Steve Hiesse. The RAM Racing Mercedes ended up just shy of a podium finish in fourth, ahead of the IMSA Performance Porsche that dropped to fifth.